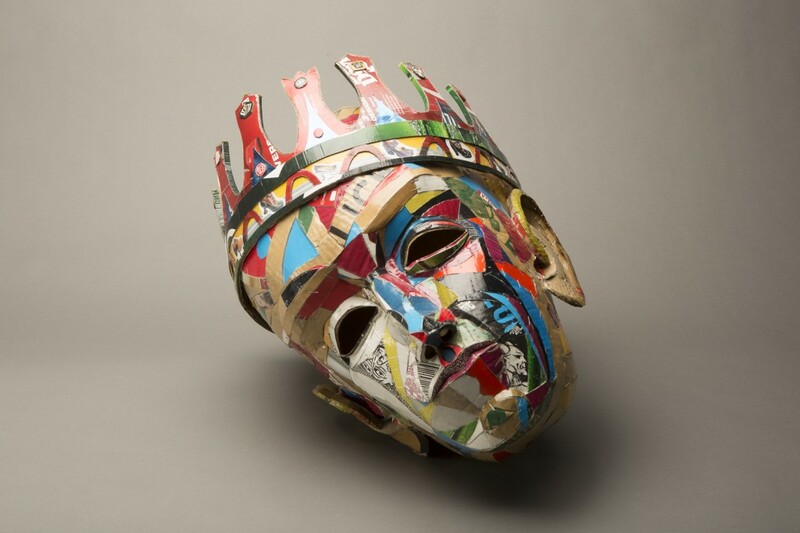 Title: Prince des Sots Medium: Cardboard, wood, polyurethane Date: 02/17/2014 Dimensions: 34" x 24" x 20" Description: This piece was created specifically for the Tucson Sculpture Festival 2014. It's a bit of self effacing humor, I'm often called the king of cardboard and the title Prince des Sots, would be translated as King of Fools. This piece is a new stage in the evolution of my cardboard work, as I exploit the colors and text on the recycled materials to create suggestive reinterpretations that are humorous, irreverent and skeptical.